We appreciate the help and support of our wonderful local business partners. Here are some of the fantastic companies we work with. As well as being one of the most beautiful parts of the country, the South Hams offers a fantastic array of high quality food products. However, unless you personally know your farmer, these can be complicated to get hold of on a weekly shopping trip and buying local produce can become an arduous task. 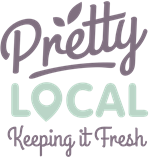 Pretty Local has found the solution; bringing all our sellers together in one location. We spent considerable time scouring the South Hams meeting local producers and finding the best products; we can’t deny it’s been an absolute pleasure - and we're still going! Each of our sellers are located in South Devon and the majority are within 20-mile radius of Kingsbridge, keeping food miles to a minimum and supporting local producers and businesses. 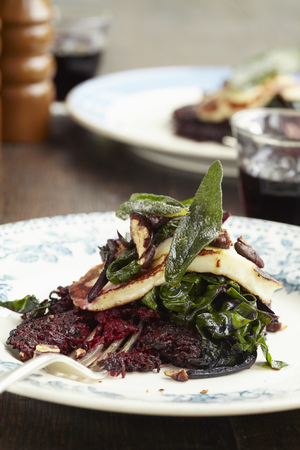 We are showcasing the quality and the diversity of the South Hams food and drink. Suppliers include 'Wild Food Devon' who source fresh seafood from Salcombe and land scallops, lobster and wet fish from their own fishing boat, 'Favis of Salcombe' who land crab from their own boat in Salcombe, dairy produce from 'Challon’s Combe Organics' at Aveton Gifford, East Portlemouth-based ‘Mays and Green’ who make their own delicious salad dressings, high-welfare meat from ‘Lidstones’, and ‘Sladesdown Farm’, ‘Cheezeboard’ near Totnes and ‘Spindlebrook Farm’ who grow vegetables and salads without the use of machinery. 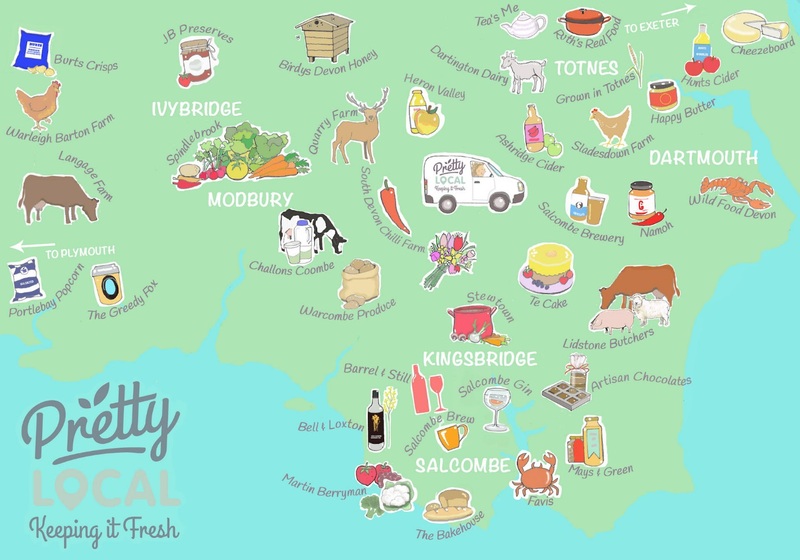 Pretty Local is just like an online supermarket, except the supply chain is short, so every time you buy you’re directly supporting your local farmers, fishermen and artisans. This is currently a weekly market. You can order up until midnight on Wednesday for a delivery on the Friday or Saturday (on agreement). 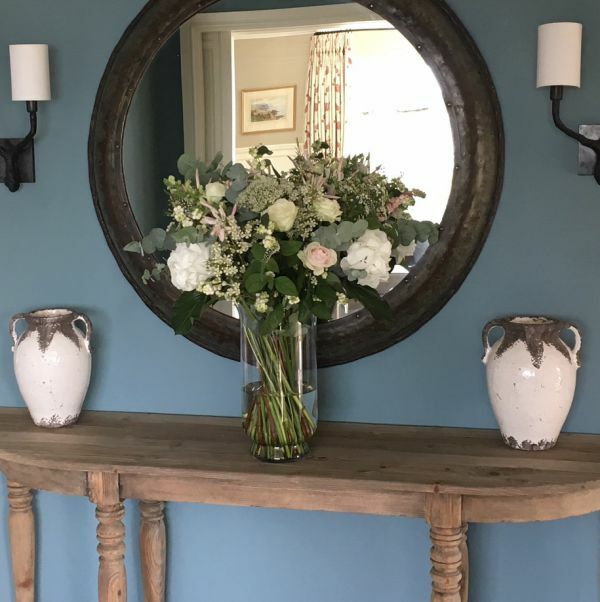 Caroline lives in the next-door village of Thurlestone and has been creating exquisite floral arrangements for the owners of Longfield for years. 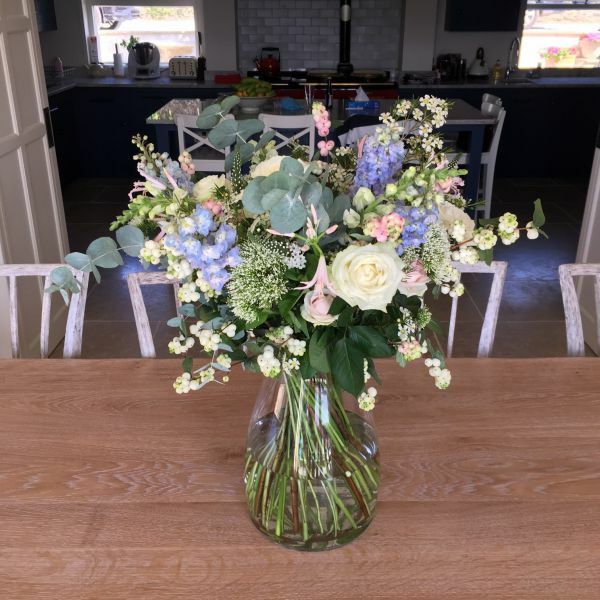 Her passion for using the very best quality, seasonal, British (where possible) flowers and her creative eye ensure each and every bouquet and arrangement is absolutely gorgeous. Are you celebrating a special occasion? Or just fancy treating yourself while your on holiday? 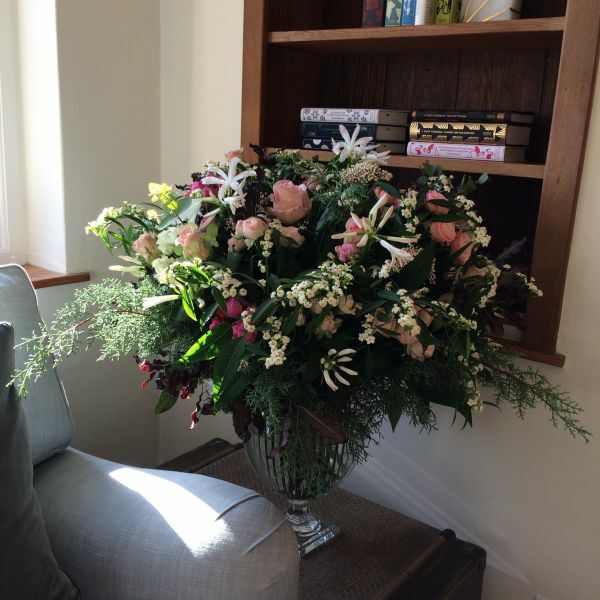 Add a beautiful arrangement of seasonal flowers by talented local florist Caroline Hodges - https://carolinehodgesflowers.co.uk/ - to add a perfect finishing touch to any room. 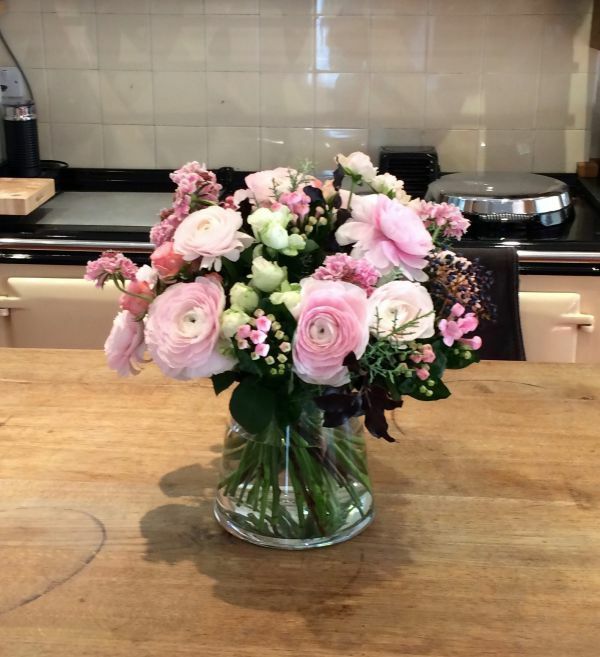 A beautiful, arrangement of seasonal flowers, selected and arranged by Caroline. 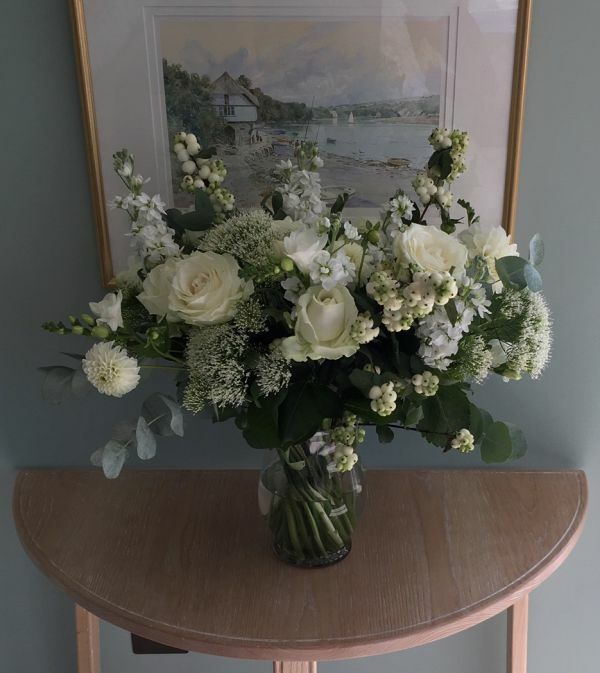 She will choose the best quality flowers each week, so they will vary throughout the seasons but always be gorgeous and arranged in her relaxed signature style. 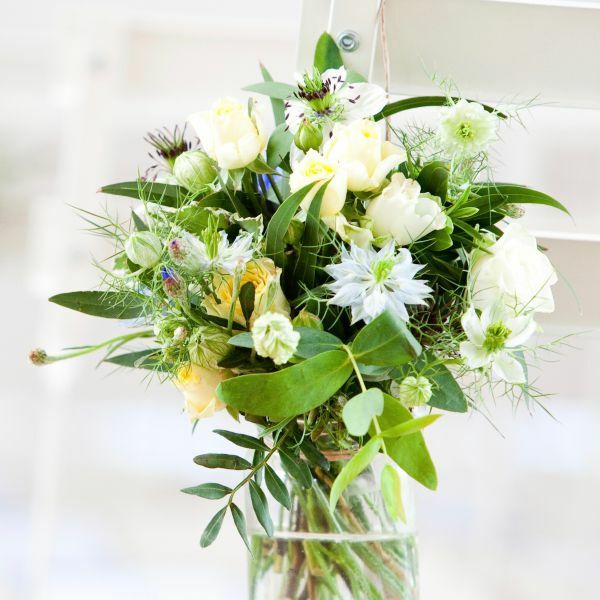 Alternatively, you can contact Caroline to discuss bespoke flowers to make your stay extra special. 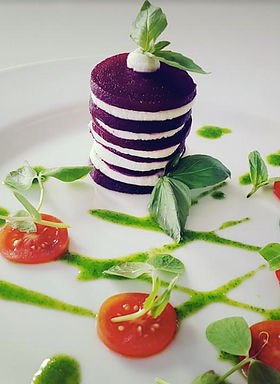 The Chef- Jean-Philippe Bidart (JP) is a local classically trained French Chef with over 30 years’ experience and is still passionate about food. 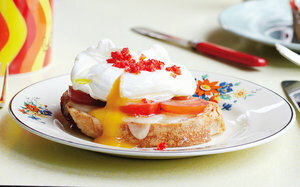 Most recently he held the position of Head chef at the award-winning Pub, The Millbrook Inn at South Pool. He has won several industry awards over the years. ‘Le Guest Chef’ was an idea born out of the desire to be more flexible in work patterns, to spend more time with family and to be able to cook more creatively for smaller numbers of people who appreciate the food he can offer. All food is cooked from fresh locally sourced ingredients of the highest quality. Suppliers include- Lidstones of Kingsbridge and Muckwell Farm for Meat, Excel Shellfish for crab, S&J Fisheries in Ivybridge for Fish. Food delivery service- This would be food delivered to your home or holiday home that is mostly prepared and needs all but reheating and minor finishing touches. 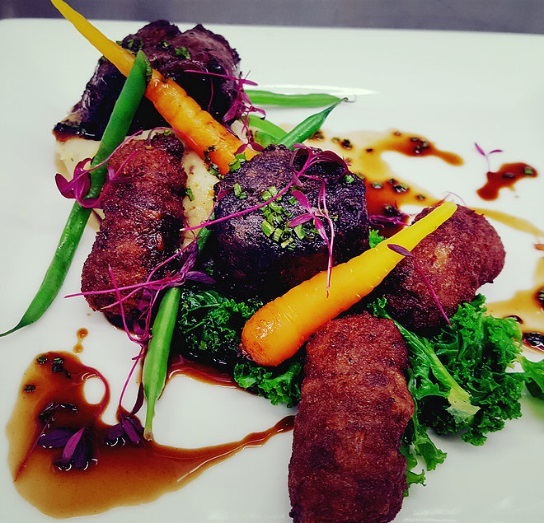 JP will discuss your preferences with you and create a bespoke menu which he will deliver directly himself and talk through the details of finishing and serving your meal. A minimum number of people for this service. 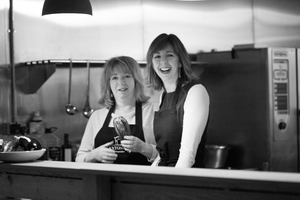 Cookery Demonstrations- JP is well known for his cooking demos, butchery and fish masterclasses. This year at the Dartmouth Food Festival, he cooked rabbit in six different ways. 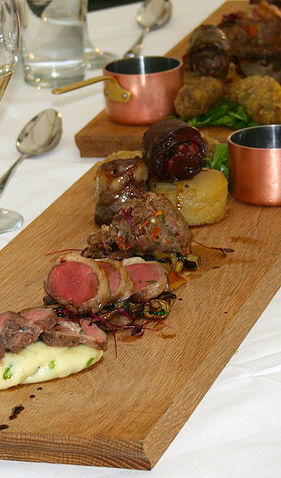 For butchery classes his speciality is pheasant, pigeon, wild boar and venison. The most interesting Fish masterclass was a 70KG yellow fin Tuna which was flown especially from the West Indies for the event. Demos can take place at your home or hired venue. Full Private Chef Service- This is the full private chef experience where JP comes to cook at your venue, home or holiday home. Waiting staff can be arranged for you or this can be for you to organise. 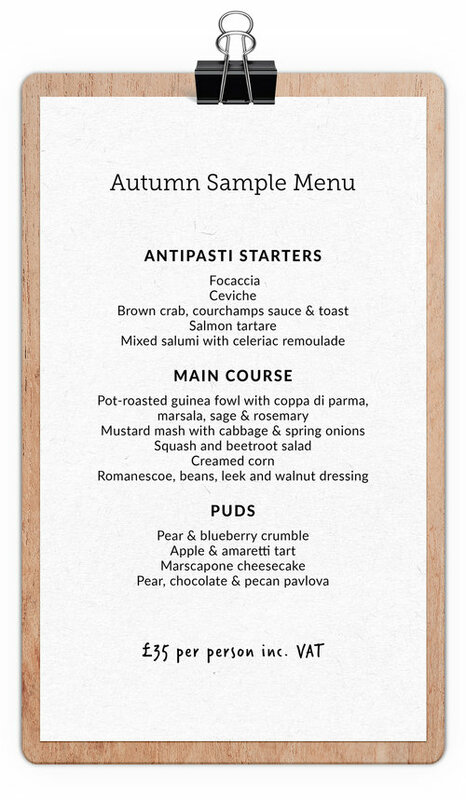 Prices will vary but please feel free to enquire with no obligation. When Jane Baxter met Sam Miller … it was back in 2005 just as the doors of the Riverford Field Kitchen were about to open. 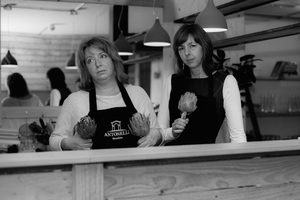 At Wild Artichokes, we have an eye for detail. Just what you need if you’re looking to put on a successful and memorable event. Whether its a corporate occasion, conference, ball, festival, private party or themed event, our experienced team can provide a full event management service to help you turn your ideas and plans into reality. Whether it’s a corporate occasion, conference, ball, festival, private party or themed event, our experienced team can provide a full event management service to help you turn your ideas and plans into reality. 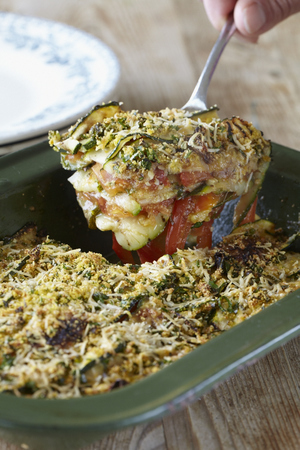 Perhaps you’re celebrating a special occasion and just want someone else to take care of the cooking? We can prepare and deliver a two-course buffet style meal or provide a staffed three course feast with someone to do the washing up too!